History of blind education: Photos of tactile classes at the American Museum of Natural History. 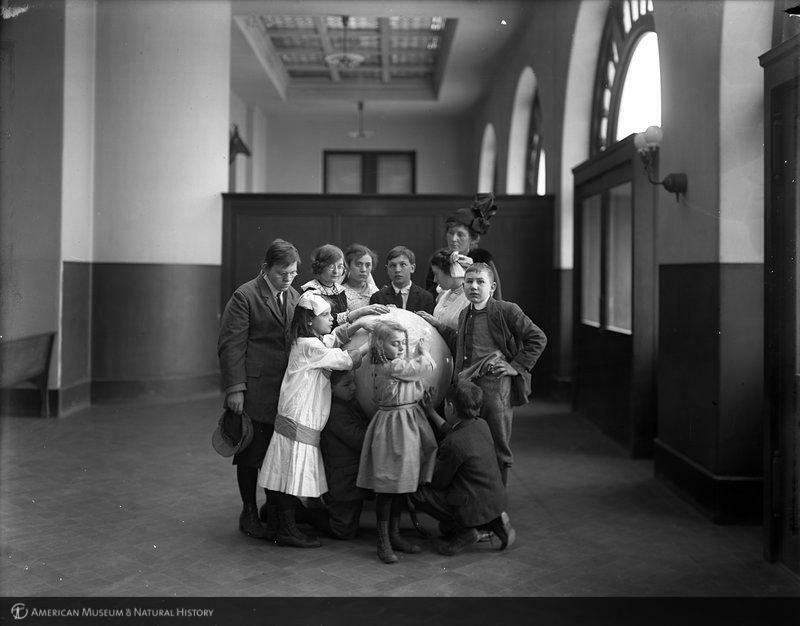 In this group of photographs taken between 1914 and 1927, students who were blind or had diminished eyesight partook of special instruction at New York’s American Museum of Natural History. 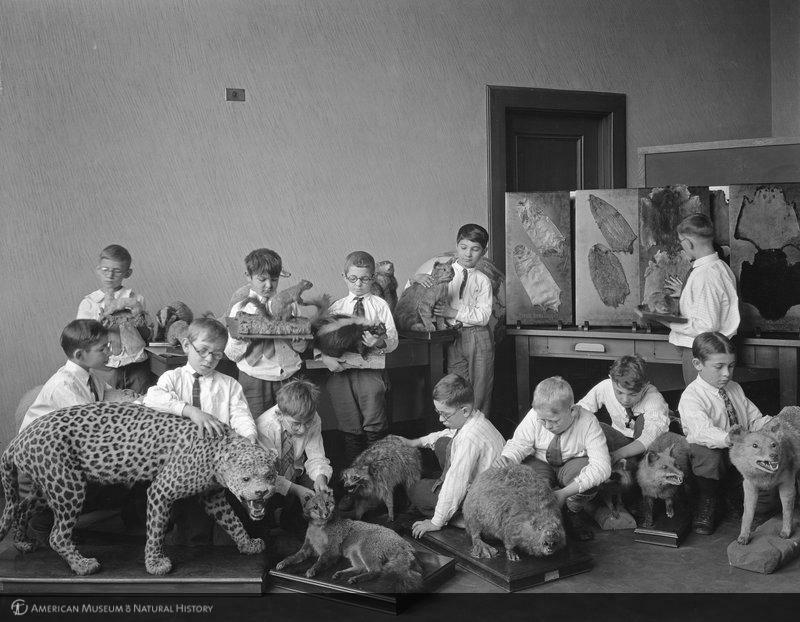 In 1929, the museum’s Department of Public Education reported that teachers of public school classes for such pupils had their pick of ten museum “talks” in “natural history, geography, history, civics, and health.” Students could touch and hold the props used in the lectures, and examine them closely. Photographs like these advertised the museum’s good works in official publications, like Natural History, which were sent to its donors. 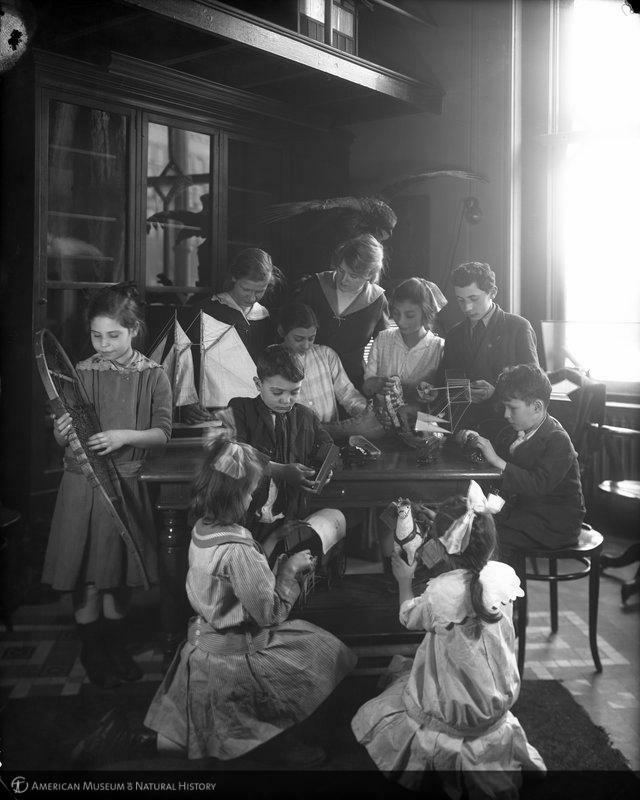 While some of the photographs’ captions describe the groups of children as “blind,” most label these classes “sight conservation.” Writing in the Journal of Education in 1918, New York’s district superintendent of schools Joseph S. Taylor explained that sight conservation classes in the public school system were supposed to save the remaining vision of children who had “partial atrophy, cataract, corneal opacity, myopia, or keratitis.” Emblematic of a Progressive Era interest in public health and efficient good works, these classes kept students from having to stare at small-print textbooks, which educators believed would hasten their blindness. Instead, teachers concentrated on use of the blackboard, charts, maps, and the teaching of manual tasks. The museum’s curriculum fit nicely into these objectives. 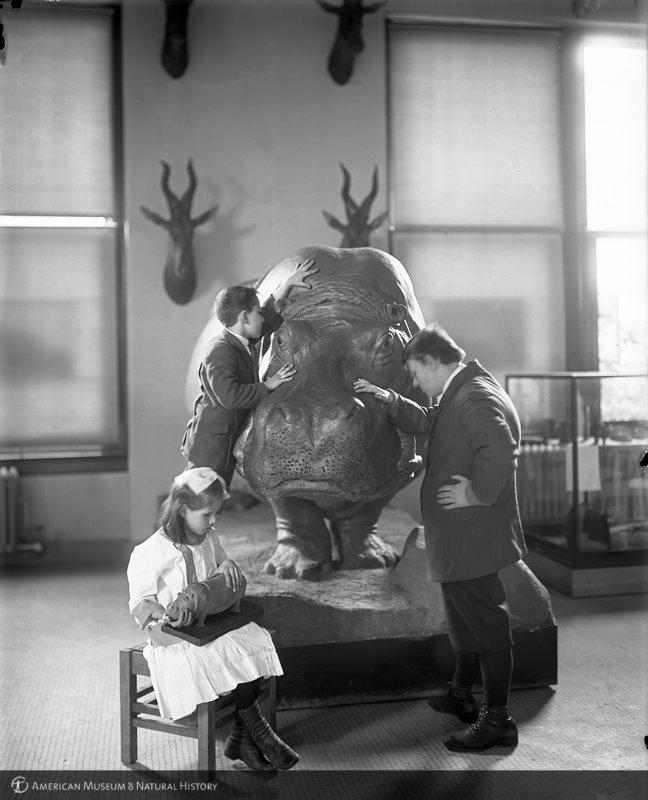 “Blind children studying the hippopotamus, 1914,” Julius Kirschner. “Blind children using relief globe, 1914,” Julius Kirschner. “Sight conservation class receiving lesson on The Story of Our Furs, School Service Building, 1926,” H.S. Rice. “Class of blind children, transportation, 1917,” Julius Kirschner. 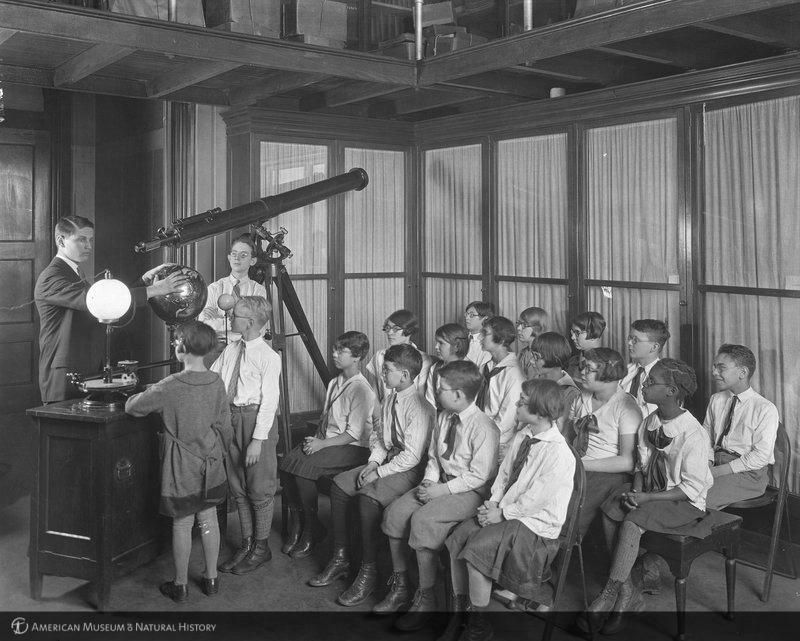 “Sight conservation class receiving lesson on Earth and Neighbor Worlds, 1927,” H.S. Rice.